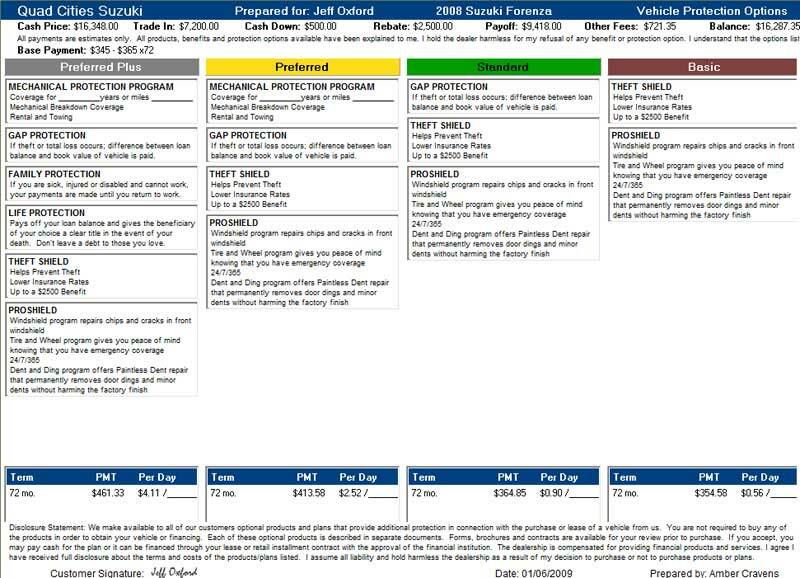 The ProMax Unlimited F&I Menu is designed to present your dealership’s product options in a single, easy-to-read format. It's easy to create multiple menus to handle Retail, Lease, and Cash Deals for New or Used vehicles.​ Customizable on the fly, options can quickly be added or removed, and pricing can be adjusted to cascade across packages. Our one-click integrated color Finance Menu enables finance managers to professionally present products without having to reload the deal. Best of all, once the ideal package has been chosen by your customer, a single click pushes the choices into your existing deal structure, making it effortless to update. Our industry-best Subprime menu obeys max payment and max amount financed guidelines by calculating the additional customer cash needed, so you can keep compliant in offering all your customers your finance products. It all integrates seamlessly with the ProMax Compliance Package! Digitally store your customer's electronic signature on the Menu or Disclosure, showing items offered and declined.